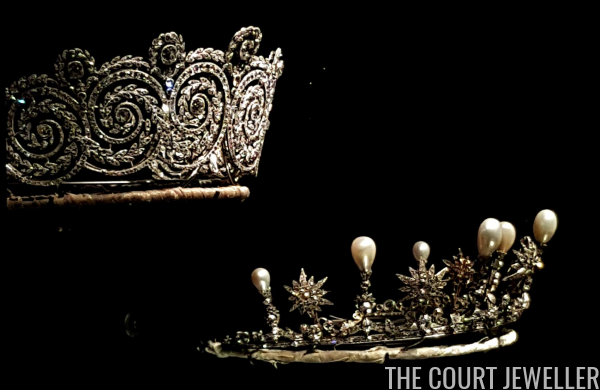 I've got a special treat for you today, magpies: a peek into a major jewelry exhibition currently on display in Denmark! 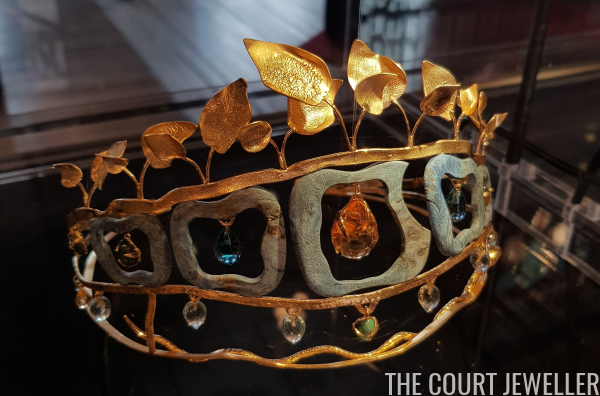 Lovely reader Alberta paid a visit to The Splendour of Power at Koldinghus recently, and she has generously shared some of her photographs from the exhibit with me so that I can share them with all of you! 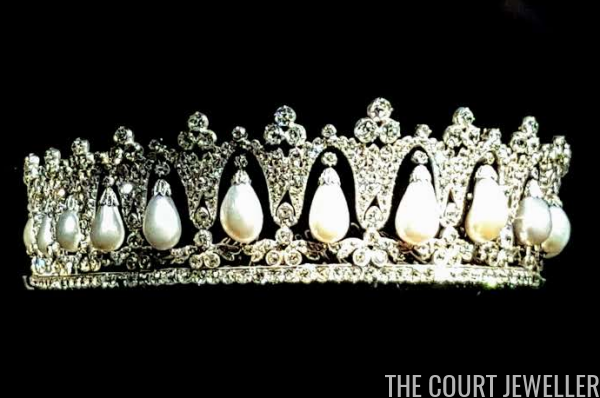 There are so many great pieces on display that I'm dividing them up into a few posts, and today's is all about tiaras. 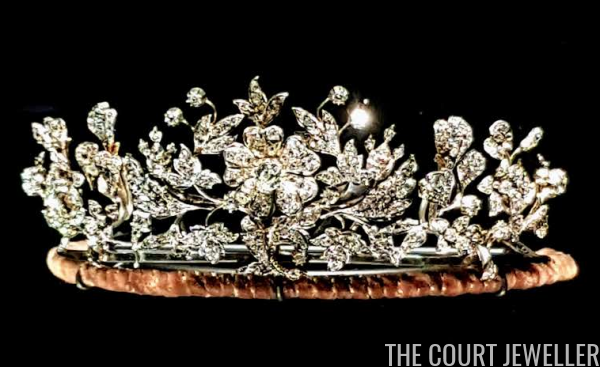 The Napoleon Museum in Thurgau loaned a parure of moonstone jewels, including a tiara/comb, that once belonged to Hortense de Beauharnais. 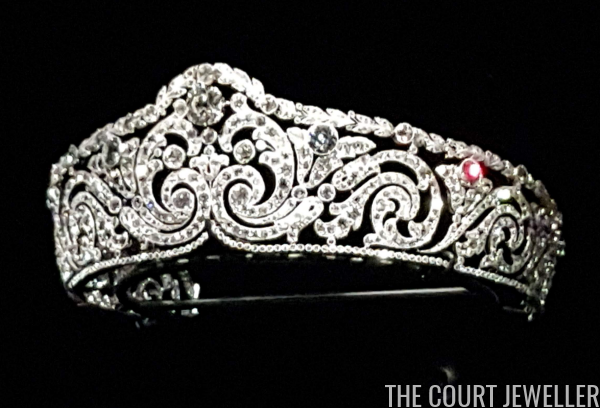 Newly-made tiaras are also included in the exhibition. 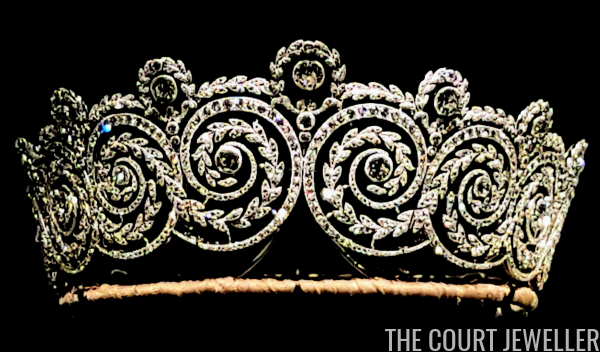 This diadem -- titled "Is Knowledge Power?" -- was made by Louise de la Laing. 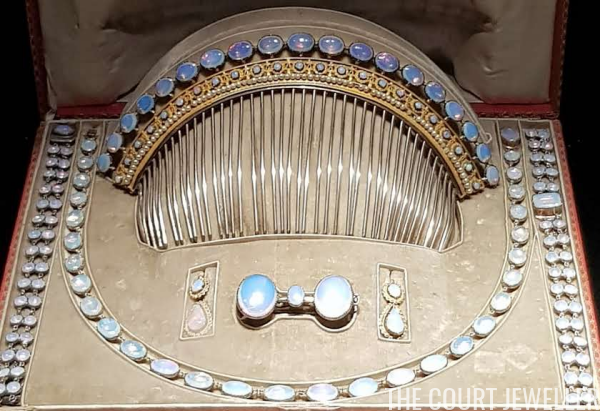 The piece is made of "opals, sapphires, topazes, prasiolites, citrines, poplar wood, silver with 24-carat gold-plating." 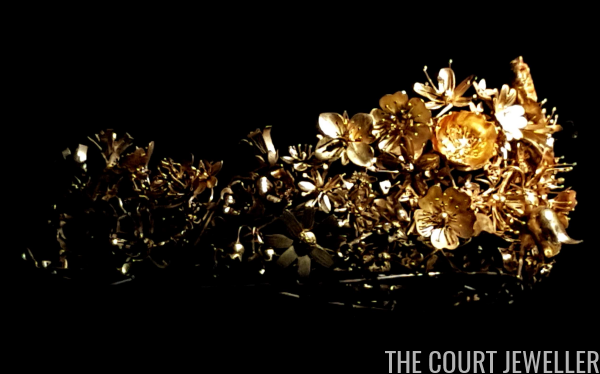 You can learn more about the intent behind the piece over here. 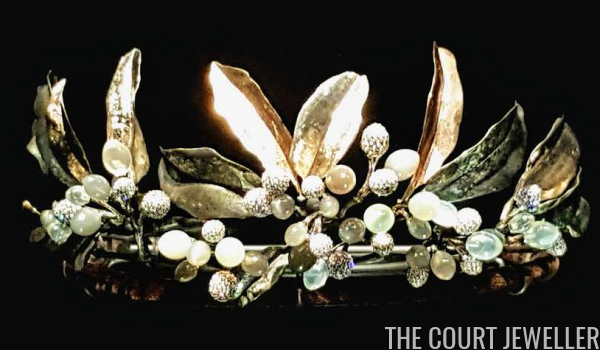 But my personal favorite might be this inventive diadem. 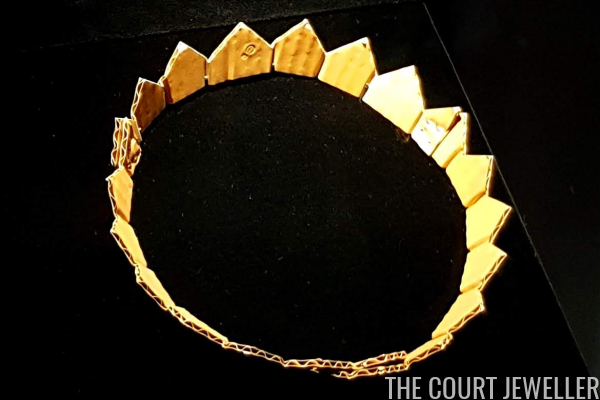 The David Bielander piece looks like a crown constructed out of corrugated cardboard, but it's actually made of gold! You can learn more about the exhibition at the Koldinghus website here. It's open until October 21, so all of you lucky ducks who are close enough to travel there still have a bit of time to see it! 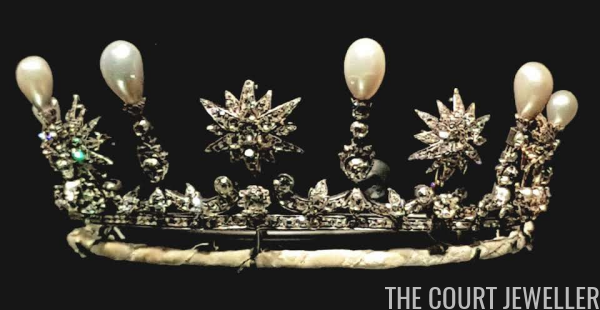 Stay tuned next week for another installment of bejeweled photos, brought to us courtesy the wonderful Alberta! Make sure to give her extra kudos in the comments for sharing!